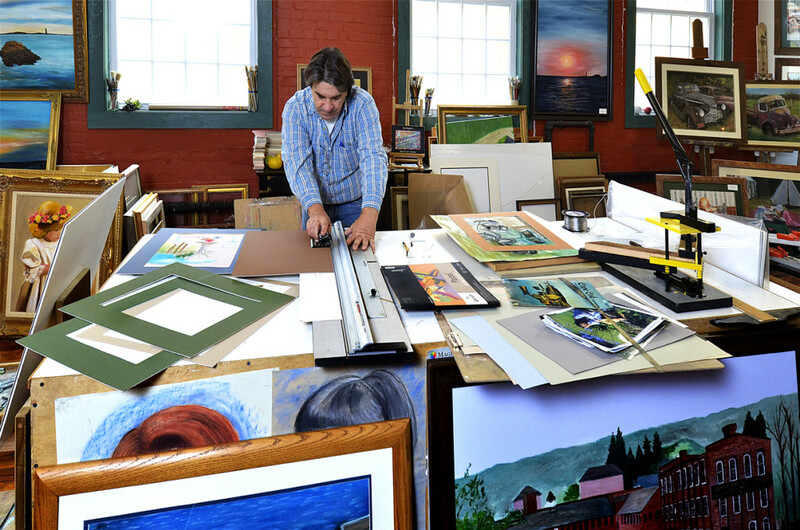 Jim Koplar’s studio at Whiting Mills is a magical world of color. With pastels as his preferred medium, a gorgeous bright blue ocean or the deep red on a brick building can leap from the frame to provide a feast for the eyes. This year Koplar’s work will be showcased throughout Connecticut. At his wife’s recommendation, he studied Visual Arts at Tunxis College. After receiving a degree in 2004, he joined the Canton Artists Guild and began to build his reputation within the local art scene, creating landscapes, still life and portraiture work. 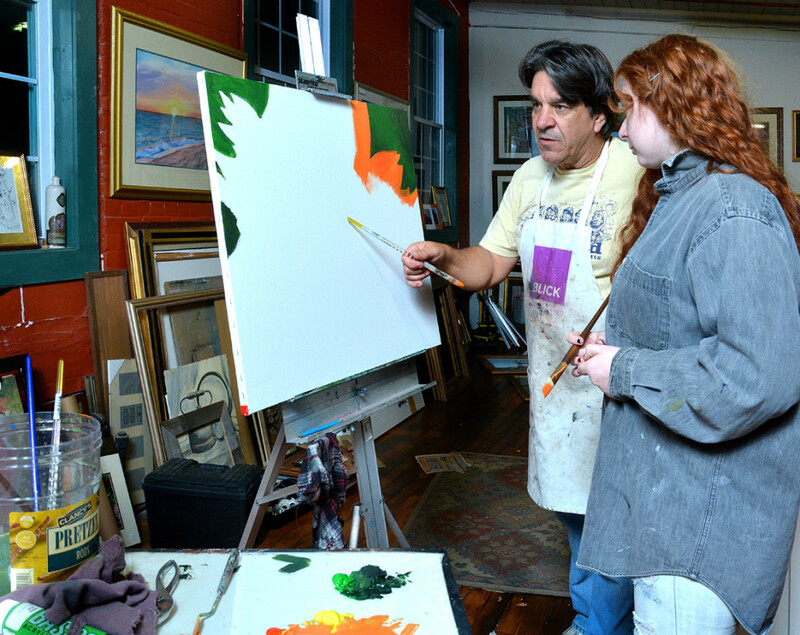 He received his first break at Gallery 101 in Collinsville, Connecticut. While his paintings were on display, Koplar would teach ART JAM, a 2 hour children’s art class where students would explore their own creativity at their own pace with all the tools and instruction at their disposal. Teaching is a passion for Koplar and the idea of a free form ART JAM is something he’d like to bring to Winsted. A signature of Jim Koplar’s perspective is his view of classic, sometimes rusted vehicles. On his website RUST IN PIECE he celebrates “Castoffs from yesterday live again with an artist’s eye”. On the wall in Whiting Mills is Koplar’s mural entitled “Ernie”, 63 square feet work that adorns the corridor’s entrance and leads the visitors to his studio. 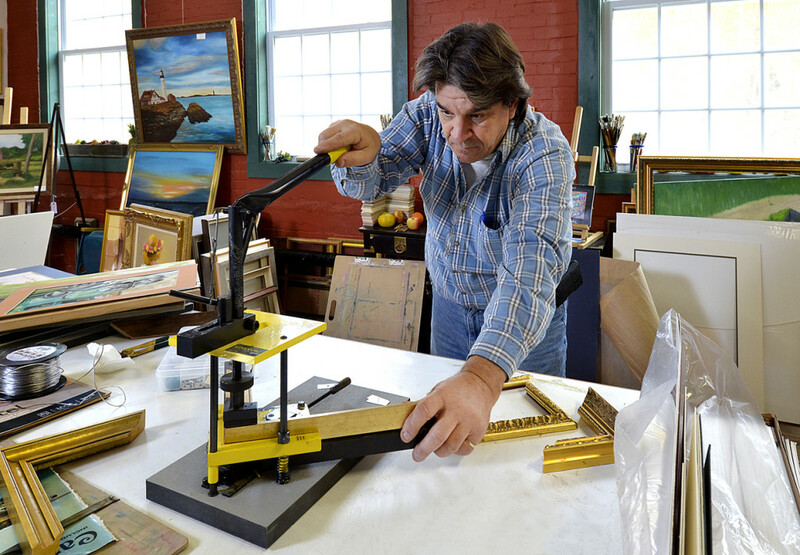 Koplar’s studio is on the 4th Floor at studio 411 in the extraordinary Whiting Mills at 100 Whiting Street in Winsted, Connecticut. His studio is open by appointment and, when he’s working in the studio, the public is invited in to visit and see his work. There are multiple opportunities to explore the work of Jim Koplar throughout the year. In the month of February, K0plar’s art is on display at the Norfolk, Connecticut library. In March his work will be in a solo show in Simsbury. Two of James Koplar’s pieces were accepted into a juried show in East Granby, Connecticut and later in the year the Canton library will host his work. I was in several art classes with Jim at Tunxis CC. So happy for his success. I’m still drawing in pastels when I can. Thank you for sharing that Regina! I’ll be doing a follow up interview with Jim later this month!